five Americans, supplied by one-quarter of the nation’s drinking water systems, consume tap water that violates EPA safety standards under the Clean Water Act. purification device. The tap is the end of the road for water consumed by our families, so this is the logical, and most efficient, place to focus water treatment. 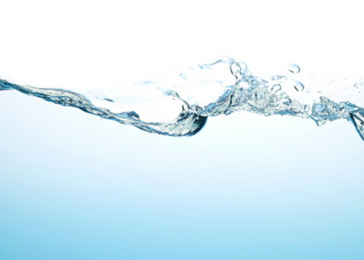 Reverse osmosis and activated carbon filtration are complimentary processes. Combining them results in the most effective treatment against the broadest range of water impurities and contaminants. from the other side of the membrane, and the accumulated impurities left behind are washed away. Eventually sediments builds up along the membrane and it needs to be replaced. water: Total dissolved solids (TDS), turbidity, asbestos, lead and other heavy metals, radium, and many dissolved organics. RO is less effective against other substances. The process will remove some pesticides (chlorinated ones and organophosphates, but not others), and most heavier-weight VOCs. certain pesticides. These compounds are either too small, too light, or of the wrong chemical structure to be screened out by an RO membrane. Note: RO systems have two major drawbacks. conservation is a concern, and it may be slightly expensive if you’re paying for municipal water. On the other hand, this wastewater can be recovered or redirected for purposes other than drinking, such as watering the garden, washing the car, etc. Second, reverse osmosis treats water slowly: It takes about 3 to 4 hours for a residential RO unit to produce one gallon of purified water. Treated water can be removed and stored for later use. Excerpted from the Real Goods Solar Living Source Book,edited by Doug Pratt and executive editor John Schaeffer.Copyright (c) 1999, Real Goods. Reprinted by permsision of Chelsea Green Publishing Company and Real Goods. Excerpted from Real Goods Solar Living Source Book,edited by Doug Pratt and executive editor John Schaeffer.